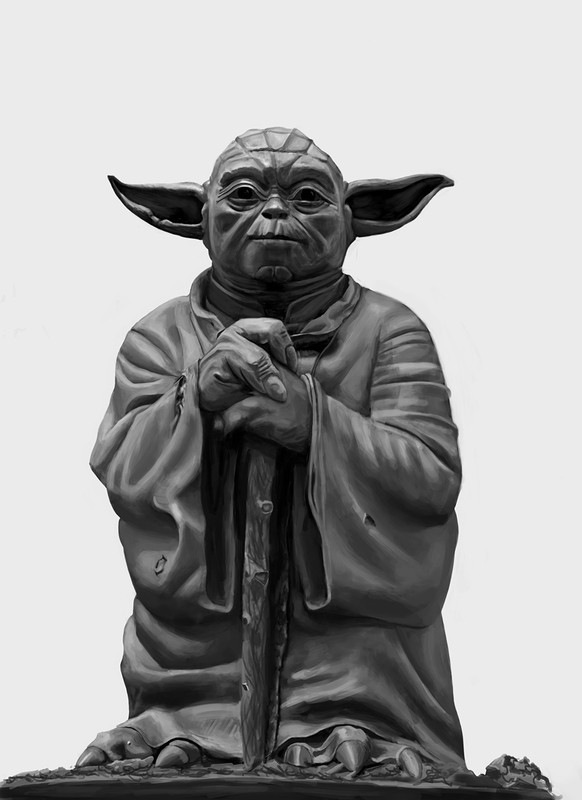 A familiar face, I created this digital portrait of Jedi Master Yoda in 2012 while in school. This illustration is based on the statue that tops the fountain at the Lucasfilm headquarters in the Presidio in San Francisco. I frequented the campus to relax and sketch in between my school work.